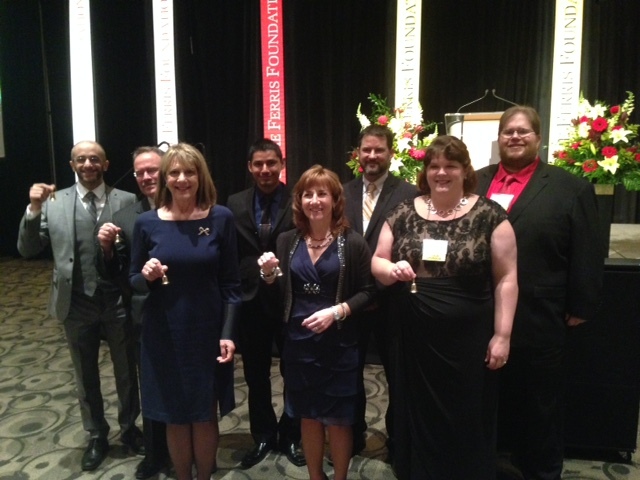 On Friday, November 6, 2015, The Ferris Foundation hosted its 17th annual Foundation for Excellence Benefit at the DeVos Place in Grand Rapids, Michigan. In addition to being a proud sponsor of the event, Amerikam partnered with Mueller Brass who donated material and Ferris State University Society for Manufacturing Engineers to manufacture bells which were given to each attendee. This partnership demonstrated to all attendees how companies and learning institutions can partner together to help everyone learn. Since 1991, The Ferris Foundation has been responsible for receiving, investing and distributing endowment gifts, which provide a source of perpetual support for Ferris State University. The Ferris Foundation manages endowments, becoming the umbrella organization that receives and acknowledges all gifts to the university, including annual gifts that meet present needs. To learn about the Ferris Foundation and how you can help with the needs of present and future Ferris State University students, please visit http://www.ferris.edu/giving/homepage.htm. To learn more about how Amerikam partnered with Mueller Brass and FSU SME Students, view the video.